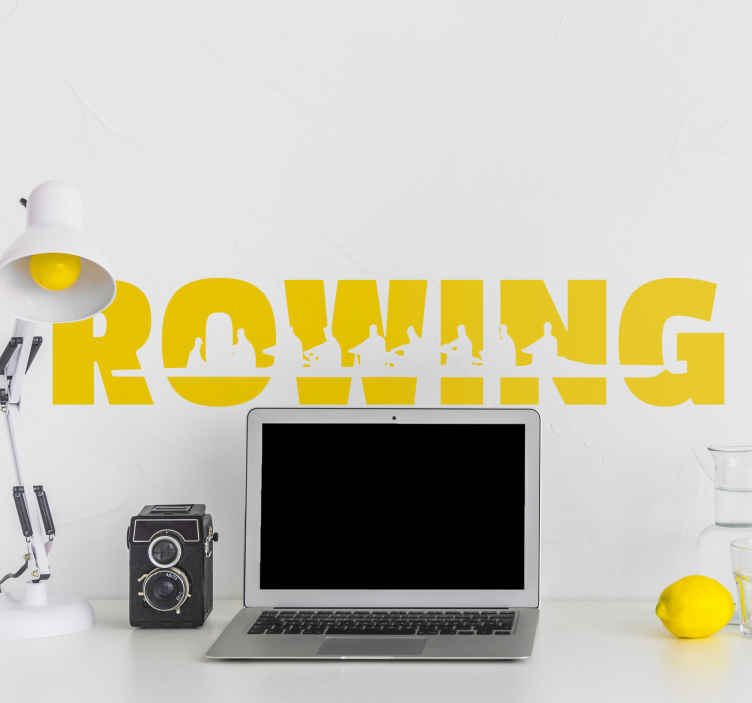 Decorate your rowing club with this fantastic text based sticker. The sports sticker spells out the word "Rowing" with the silhouette of a team of rowers, inside the text. Bring some life and colour to your rowing club with this great wall decoration. This sticker is available in different colours so you can alter the colour of the sticker to match the colours of your rowing club.